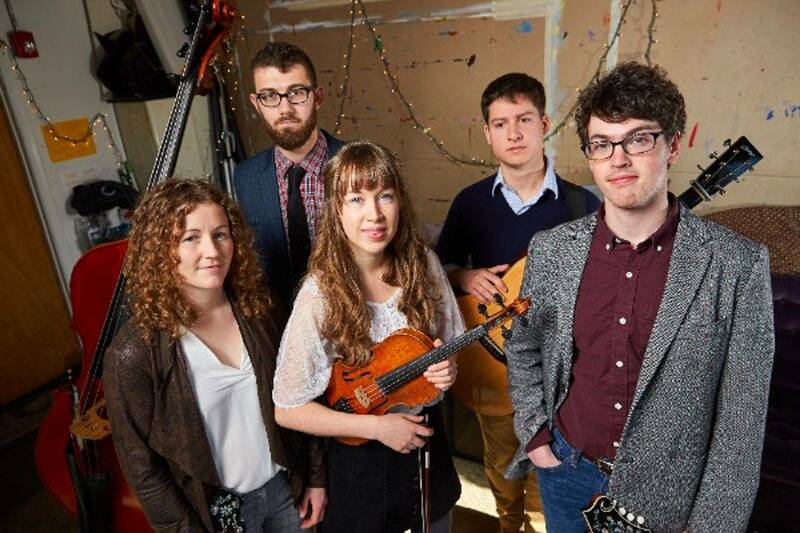 Mile Twelve is a fresh, hard driving young band beautifully walking the line between original and traditional bluegrass with their infectious groove and intricate melodies. Fast gaining recognition for their outstanding performances in New England bluegrass and folk circles, Evan Murphy, Bronwyn Keith-Hynes, Nate Sabat and BB Bowness create captivating songs and daring instrumental pieces from diverse influences. Since their formation in the fall of 2014, Mile Twelve has released their debut 6-track EP, performed extensively throughout New England including several major festivals; Grey Fox Bluegrass Festival, Ossipee Valley Music Festival, Baygrass Bluegrass Festival, Sooke River Bluegrass Festival and Campbell Bay Music Festival. A track from their debut EP was featured on Sirius XM Bluegrass Junction's "Hand Picked with Del McCoury" and another track was featured on Spotify's "Fresh Bluegrass" 2015 playlist. Mile Twelve were selected as formal showcase artists at the 2015 North East Folk Alliance and finalists at the 2015 Freshgrass Band Contest. Banjo luminary Tony Trishcka says, "Mile Twelve is carrying the bluegrass tradition forward with creativity and integrity."